I totally love this, it is packed to the rafters with health and goodness but yet tastes like a total treat! Not to mention the ease of just leaving it in the fridge to wake up to or grab on your way to work! 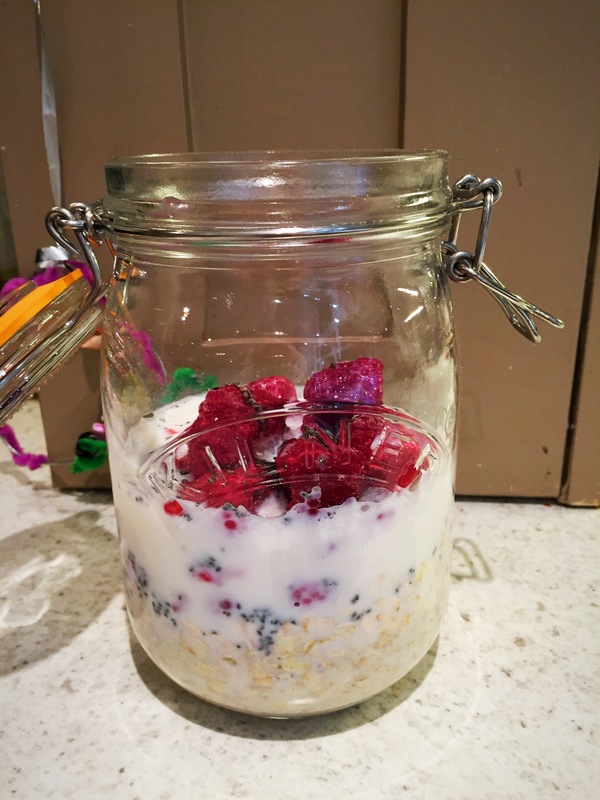 In a jar or bowl chuck in the oats, raspberries, chia seeds, maple syrup and milk. Give it a stir, cover tightly and place in the fridge. 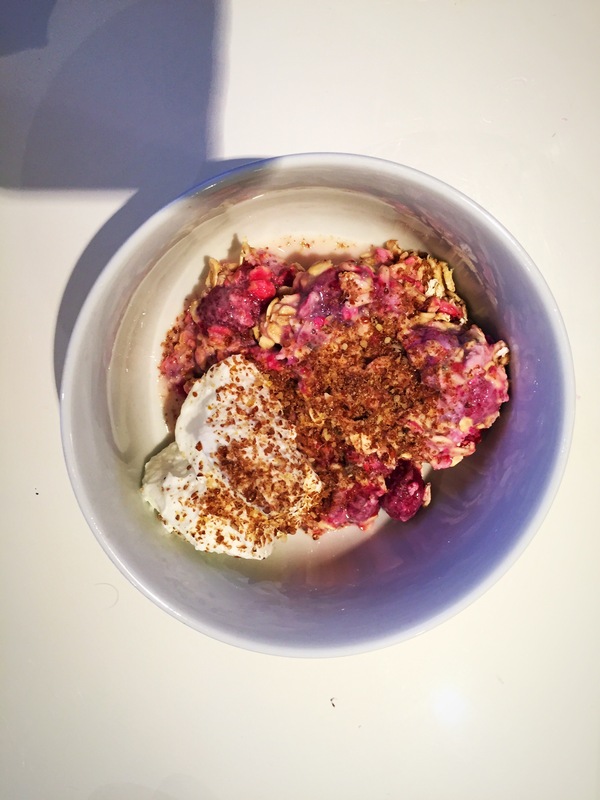 Next morning, put into a bowl with a dollop of Greek yoghurt and a sprinkling of flaxseeds and boom! Perfect start to the day! !